Become am Supporter of FWD>>the mobile artspace! We are part of the panel discussion "Kunst und Oeffentlichkeit" on the occasion of the exhibition "Guck Mal Günther Kunst" Lenzburg. "Die goldene FWD Taste und Ihr Rechen"
"The golden FWD key and their rake"
Presentation of the FWD>>Artprice 2016. 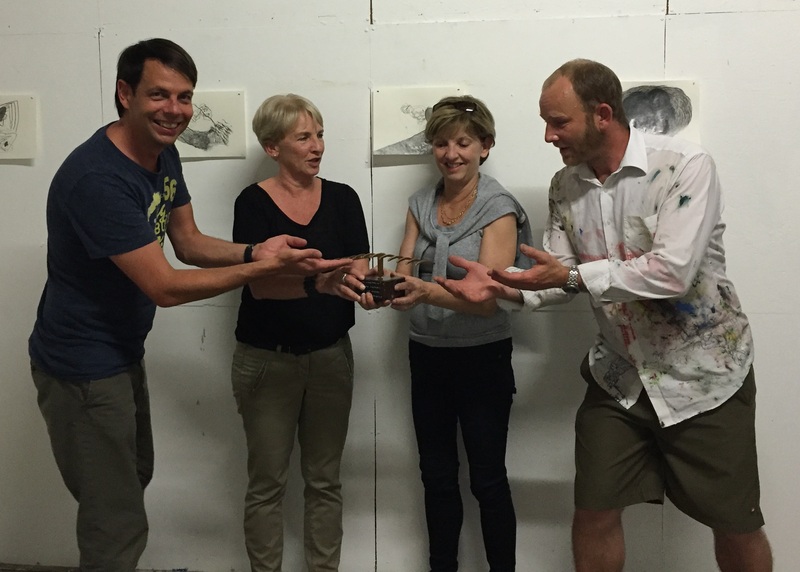 Honored to Verena & Mariett Häller for their great assistance while the FORWARD16! Peformance Festival. Ausschreibung "Transformator - Da war früher eine Wiese"
The 4.International Performance Festival at Noseland was a brilliant and prosperous day. We want to thank all Visitors, Performance artists and Noseland! 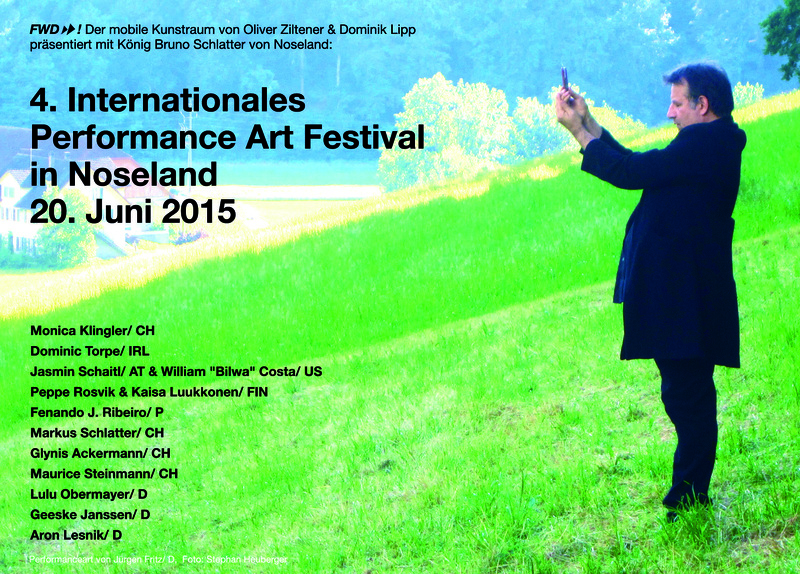 We have to been awarded by the 6.Noseländischer Artprice 2014! Thank you very much King Bruno! We would like to thank all who has taken part of the exhibition in Lenzburg. FWD>>No.15 was a successfull exhibition. Vergabe des FWD>>Der mobile Kunstraum Artprice 2014 und übergabe des Kunstwerks an unsere "Kunsthelden"